The Financial Crisis of 07/08, followed by the ensuing ‘Great Recession’, has hugely undermined faith in Neoliberalism. As Colin Crouch argued in his 2011 book “The Strange Non-Death of Neo-liberalism”, it seems that in many ways neoliberalism is actually stronger than before the crisis. Indeed, the main groups attracting protest votes are very much neoliberal, and heavily influenced by the neoconservative (the two ideologies often go hand in hand) scepticism about the stability of multi-cultural and multi-religious societies. Yet 2011 was also “the year of the protestor” thanks in large part to people’s frustration with its dominance. Moreover, if you listen to the left then neoliberalism might be in for a fall. Even mainstream (left wing) opposition groups (e.g. Labour in the UK and Die Linke in Germany) now voice their opposition. But what are the alternatives? After all, when the UK Labour Party was in power between 1997-2010 it governed from within the neoliberal consensus, and its elite became more as opposed to less convinced in the truth behind that consensus as time went on. To answer this question first let us define neoliberalism. Essentially, it is a political and economic ideology very close in thought to classical liberalism. Andrew Heywood’s “Key Concepts in Politics” defines it as an ideology of the “new right”. It uses models based on the rationality of markets and individuals, places faith in the capitalist economic structure, and espouses a limited role for the state given the capitalist market’s natural tendencies towards long term growth, and the balance of supply and demand. In terms of policy it emerges as a preference for privatisation, de-regulation, low taxes, and anti-welfarism (e.g. austerity cuts to public spending and benefits). The espoused alternatives are commonly thought to be some sort of mix or variety of Mercantilism (whereby the state makes all economic decisions) and/or Socialism (whereby control is collectively managed without regard to socio-economic differences). However applications of these alternatives don’t take the big picture into account. And in this sense it is right that they are heavily critiqued. Neo-liberalism is the antithesis of the collectivisation and nationalisation seen in the USSR, and perhaps also an echo of the corporatist third way first employed in fascist Italy. To oppose it by lurching back towards the USSR’s tactics is ultimate folly, since the same reasons why we rejected that path in the first place still stand today. Instead of choosing between letting the state dominate the economy, and letting private capital holding elites dominate the economy; we should be looking for a third choice – and a novel one! There are plenty of new ideas out there without us constantly looking back to the twentieth century. Moreover, it’s no wonder neo-liberals have found it simple to convince people of the economic strengths of their model. Capital holding elites, and especially since the so-called “managerial revolution” and the rising strength of managers and corporations, give high priority to increasing the amount of capital. Indeed the dominant model of corporate governance around the world is that which has one prime goal: maximising shareholder value. States don’t seek the same thing, and so it’s no wonder why people have become convinced that neoliberalism is a necessary evil to keep our economies strong. But answers are out there. The German model of Corporate Governance for example, also empowers the workers, and gives them say over corporate governance. So should we all seek to copy Germany? No. Solutions must always be adopted, and tailored, relative to local demand. But the German model of corporate governance does carry the seeds of an interesting idea. It recognises that there are other stakeholders besides state and economic elites, and it also recognises that empowering other stakeholders can potentially regulate the excessive short-termism and risk-taking that especially ambitious managers, are often willing to take. So what would the optimal solution be for Europe? Simple. 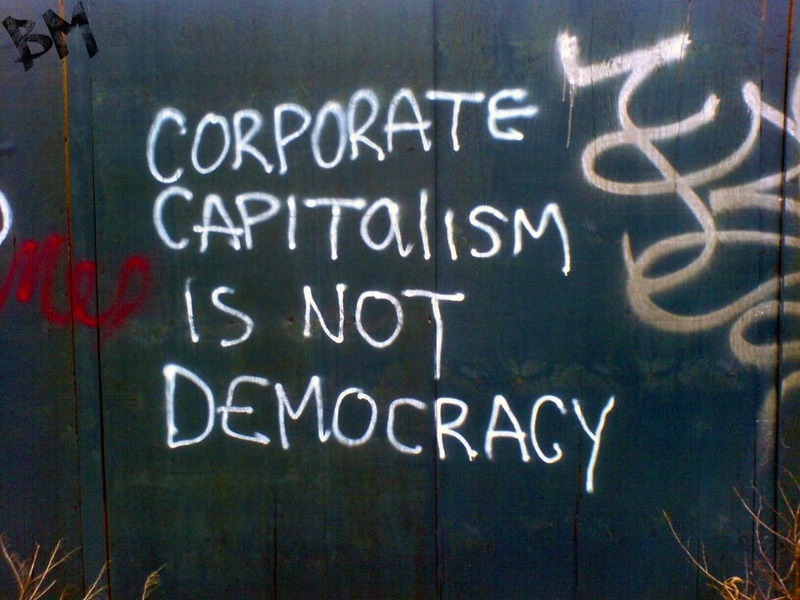 The neoliberal consensus, which has been growing since the time of Reagan and Thatcher, has reversed our prior agreement that capitalism must conform to democracy as opposed to it being the other way around. To reassert democratic control, we must seek to empower all stakeholders in the economic system (e.g. consumers, suppliers, employees, shareholders, neighbours, and the broader public). Rather than socialism or capitalism, this would be an economic democracy; a model and an ideology that has thus far been unrealised in practice, and should reflect the new counter-argument to the modern neo-liberal consensus. Capitalism is a unfair system in all its facets. The world needs a better system that can provide a better social equality without demonize the rich guys. 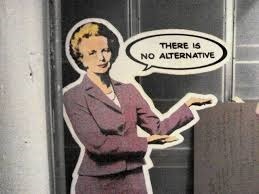 There’s no alternative ,sorry Margaret you make a big mistake in this one.